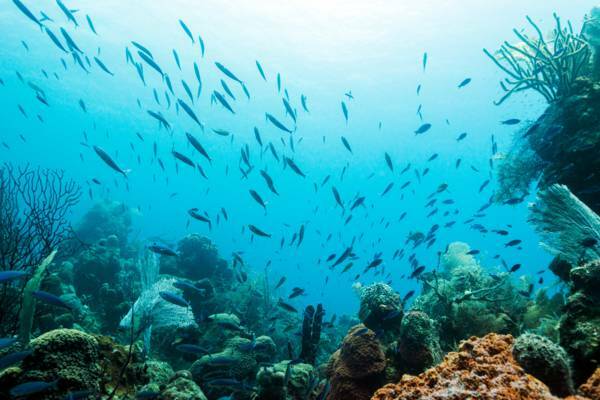 The diving surrounding South Caicos is generally excellent. Interesting reef formation and swim-through arches abound. Located on the east edge of the Caicos Islands subterranean plateau, South Caicos is recognized as having excellent diving, with vibrant reefs and wildlife, some decent wall sites, and many canyons, arches and swim-through reef sites. The best of the accessable wreck sites, the Convair CV-440, is located nearby. Most of the South Caicos dive site are a short 10-15 minute boat trip out from the main populated area of Cockburn Harbour and follow along the east and southeast coasts of Long Cay and South Caicos. Although the dive sites are a short ride out, the island really doesn’t offer great shore diving due to inaccessible (by road) coastlines and ocean conditions. Nearly all of the main South Caicos Dive sites are in the Admiral Cockburn Land and Sea National Park, which includes Long Cay, Six Hills Cays and Middleton Cay. East Bay Resort is the only business offering scuba diving on South Caicos, and their shop is based directly at the resort. Primarily private charters are offered. South Caicos Divers, closed down due to damages caused by Hurricane Ike in 2008. A custom dive charter may be arranged from Salt Cay or Grand Turk, although costs will likely be prohibitive. 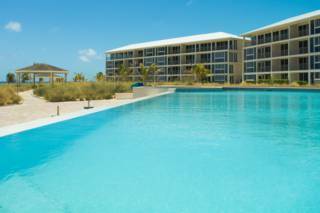 East Bay Resort is only business on South Caicos offering scuba diving excursions. Private tours are offered, and the dive shop is based at the resort. Last reviewed by an editor on 12 February 2019.